Harold “Pat” Weldon Webber, 92 of Antrim, died peacefully, in the presence of his loving family, at his home in Antrim on March 30, 2019. He was born in Bay Shore, NY on August 27, 1926, the son of Alexander and Grace (Weldon) Webber. Pat was raised in Amityville, NY and attended St. Martin of Tours grade school and graduated from Bishop Laughlin High School in Brooklyn, NY. As a teenager, Pat’s brothers taught him to fly. His first solo flight was at 15 years old. He served in Air Force during both World War II and the Korean War. He was a skilled aircraft mechanic and pilot graduating from the Roosevelt Aviation School in Mineola, NY in 1947. He would put these skills to excellent use, enjoying a 39 year career with Pan American Airlines as a Pilot and Flight Engineer. He and his crew took part in the evacuation of the Embassy personnel from Iran and Beirut in the late 1970’s and he was part of the crew that flew the Beatles to America in 1964. Pat retired from Pan Am in 1989 and became an active volunteer in the Antrim community. He served on the Conservation Committee, helped with grant writing for the funding to dredge the Mill Pond and worked with Mary Allen on establishing Memorial Park. As a member of the “Over the Hill Gang” with Bruce Cuddihy, Bob Allison, and Carter Proctor, he participated in constructing the Antrim Bandstand and the Peace Bridge at the park. Pat also served as chairman for the Parks and Recreation Committee, served on the Limrik newsletter staff, and a Red Cross Volunteer driver. 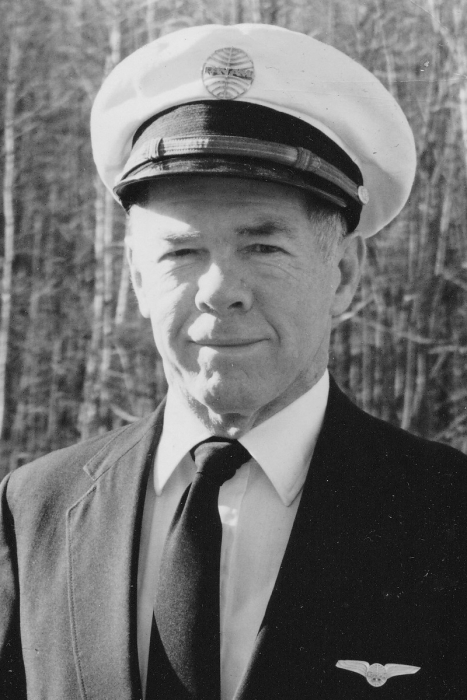 He served on the Parish Council at St. Patrick’s Church in Bennington and was named both Antrim Grange Citizen of the Year and New Hampshire Volunteer of the year in 1992. Pat and Carole moved their family from Amityville, NY to Antrim, NH in 1966 and were married for 63 years. He is survived by his wife Carole (Dawson) Webber of Antrim and his children and their families; daughters Amy Webber Daniels (Louis Daniels) of Canton, Connecticut and Polly Webber Quigley (Peter Quigley) of Kailua, Hawaii, sons Gary Webber (Rose Dunbar), Gordon Webber (Leah Tokunaga) of Antrim, NH, Glenn Webber (Tamara Webber) of Stoddard, NH, and Andrew Webber (Caroline Clotere) of Mammoth Lakes, CA., daughter-in-law Ruth Ireland Webber of Francestown, NH, sister Margaret Howard of Amityville, NY and 16 grandchildren and 12 great grandchildren. Pat was predeceased by his son Russell Webber in 2011. He is also predeceased by 3 older brothers and 3 sisters. Visiting Hours will be held on Friday April 5th from 4:00 PM to 7:00 PM at Jellison Funeral Home, 25 Concord Street, Peterborough, NH. A Mass of Christian Burial will be celebrated on Saturday April 6th at 1:00 PM at Divine Mercy Parish, 12 Church Street, Peterborough, NH. A reception and time of sharing will immediately follow at the Presbyterian Church in Antrim. Burial will take place at Maplewood Cemetery at a later date. The family is thankful for the support from Hospice of Concord Regional VNA. Memorial contributions may be made in Pat’s name to the New Hampshire Food Bank, the Antrim Grapevine Family Resource Center or the Concord Regional VNA.